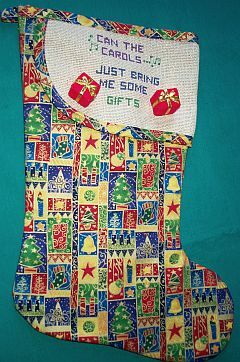 Colorful Christmas Stockings to "hang by the chimney with care". 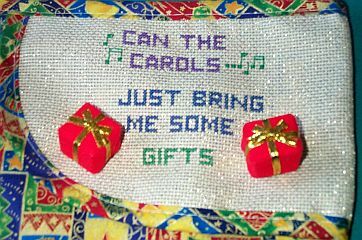 Hand decorated with counted cross-stitched design. Generous 14" size is perfect for stuffing with treats from Santa! Great as gifts too!